Burning Rangers - Another non-Sonic title on the Saturn from Sonic Team, this one involving anime-inspired futuristic fire fighters putting out flames to save people. Why it should happen: BR pushed the Saturn to its graphical limits and manages to sell for way more than it should. While there was already a limited market by virtue of being a Saturn game, small production numbers and a release at the end of the Saturn's life meant very few people got to play it. Those that did, however, found the game's graphics to be very demanding for Sega's 32-bit system, to the point where gameplay was affected. Sega already has created a Saturn/Titan (ST-V) emulator that is used in other games in the Ages line-up, which should help reduce the porting time. Nights has been recently redone (and redone very well, might I add) and with BR based on the same engine, it would seem only natural to bring it over, too. Why it won't happen: Sonic Team doesn't give a crap and Sega won't be able to make a profit off of it. Burning Rangers had a vocal cast featuring some well-known actors from the anime scene and I'm sure they'd still demand a royalty for their work. Unlike Nights, the game isn't as widely known and doesn't have the fan base to support it. Why it should happen: With a limited release at the end of the Saturn's lifecycle and stellar reviews, Saga was highly sought by gamers and collectors alike. Unfortunately, few got to play it and it goes for top dollar nowadays. 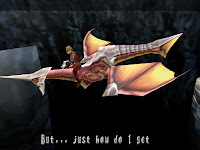 Yukio Fatatsugi was willing to lend a hand (or at least a voice) to the Sega Ages Panzer Dragoon remake, and I'm sure he'd love to be involved in this in some way. Why it won't happen: According to reports, (although hard to believe) the original source code for the game is long gone. This means that in order to see the game in action, it would have to be either a strict Saturn emulation (not that this would be entirely bad) or if the usual Ages graphical updates were implemented, the entire game would need to be recoded from scratch - a very costly and unlikely scenario. Daytona USA - A perfect example of Sega's arcade golden years, Daytona USA can still be found in many arcades today. Featuring just three tracks and two cars, the game has more than survived the test of time. Why it should happen: The highest grossing arcade game of all time. Is there anything more to say? Sure. There's never been a perfect home conversion of this game and fans are still waiting for one. Lots of Model 2 games have appeared in the Ages line-up (Virtua Fighter 2, Fighter Vipers, Last Bronx, Virtual On) and elsewhere (Sega Rally). Clearly getting a Model 2 game to run is not the issue, so what is? Why it won't happen: What's in a name? 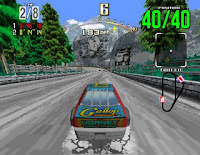 Though the game doesn't have the actual track in it, Sega had to lease the Daytona USA license from the actual race track in order to use the name. Now, other companies are leasing the Daytona USA rights (I'm not sure if it's exclusive or not) and it wouldn't be cost effective for a budget release like this. The House of the Dead - Another Model 2 game, this one made it home near the end of the Saturn's life, albeit in not-so-great form. It was set to be an unlockable in the Dreamcast HotD2, but the development team ran out of time. Though rumored to be in HotD2+3 return on the Wii, it never happened and the game that started off one of Sega's larger franchises (2, 3, 4, Zombie Revenge, Typing of the Dead, English of the Dead, EX) has fallen through the cracks. Fighter's Megamix - Perhaps it was Sega's apology for no VF3 on the Saturn, but FMM found a niche of its own. Pitting the Virtua Fighters vs. the Fighting Vipers was only the start. It was the cast of unlockable characters from Sega's past that really made the game memorable. Not as technical as the brawlers it was based on, the game still had a charm all its own. 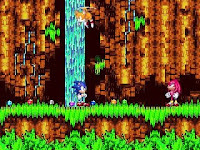 Sonic 3 & Knuckles - The original point of the Sega Ages line was to take old games, give them a graphical update, and have people rediscover them. Why not do this with the pinnacle of Sega's console games? Take Sonic 3 & Knuckles, lock them together like they should have been from the start (with Flying Battery before Ice Cap...), render the hedgehog and its background with a 3D makeover, and keep the classic side-scrolling gameplay. Toss in a couple of extras for kicks, and you've got a winner. Or, at the very least, don't let the folks doing the HD Sonic 2 show you up.